How is it already May? I swear it was November like twenty-seven seconds ago. 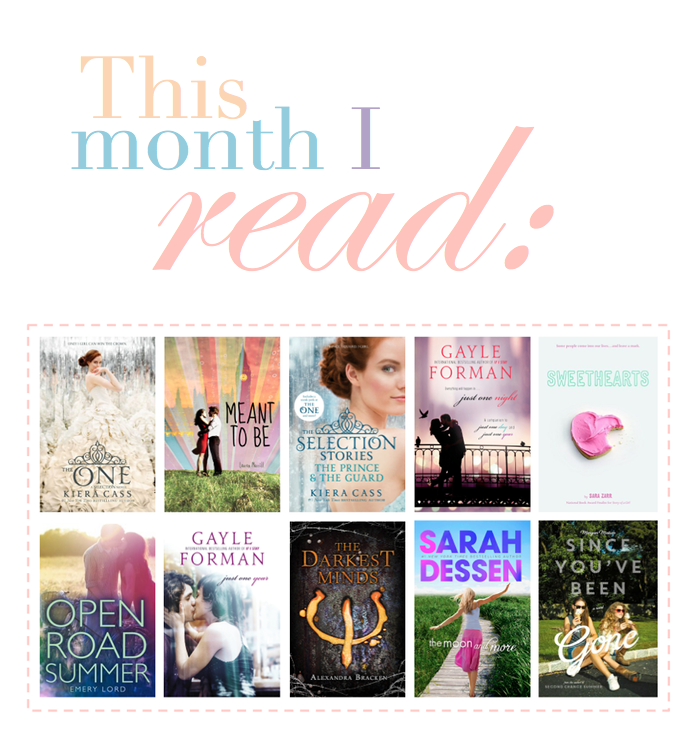 This month has absolutely flown by, and what a good reading month it was! Even though I had school I was able to knock down a total of ten books. What did you read this month? I'd love to know! P.S. I'm still really behind on reviews as school is getting to be pretty hectic, but I've written a few and scheduled them to be spread out over the next few weeks so that I'm not completely abandoning my blog while I'm busy with school. I'm so sorry, but I will have some exciting stuff coming soon, I promise! Great book list this month-I haven't read any of them, but a few of them are on my TBR list :) I read a few good ones this month, including Ready Player One and The Necromancer.